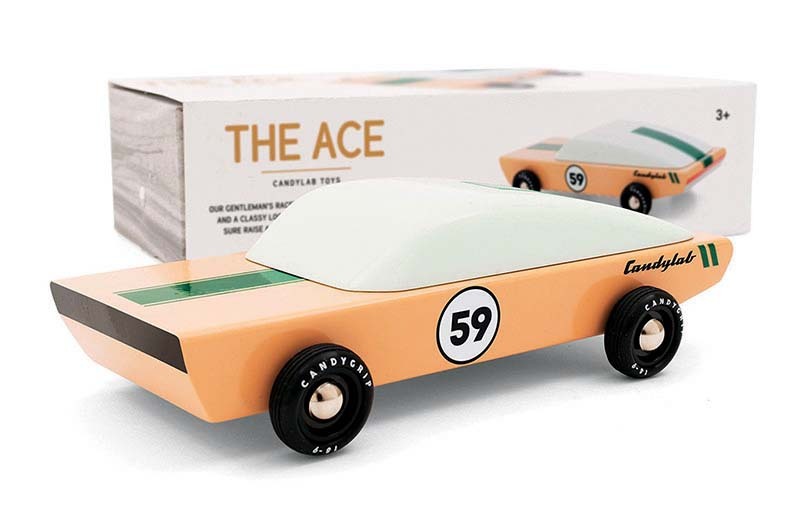 Candylab Toys is no friend of plastics, especially when it comes to the company’s model cars that are designed to be played with by kids and adults alike. The company specializes in stylized versions of yesteryear classics from the 1940s to the ’60s. All are made from solid beech wood — with rubber tires — and are covered in brightly colored non-toxic paint. They’re also built to withstand just about any kind of torture that a kid could inflict. Older kids will likely dress up their bookshelves or office desks with these toys. Prices range from $25 to $35. Visit www.candylabtoys.com.